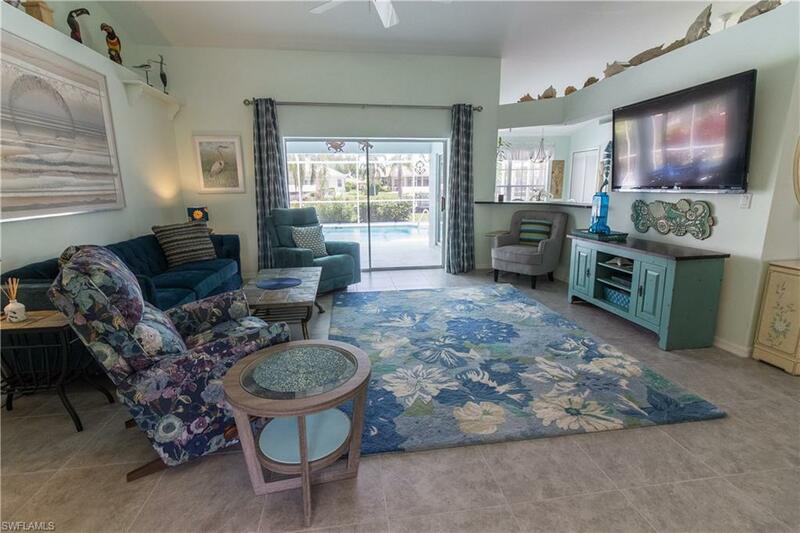 Bright and airy gulf access home located close to everything you can possibly need. 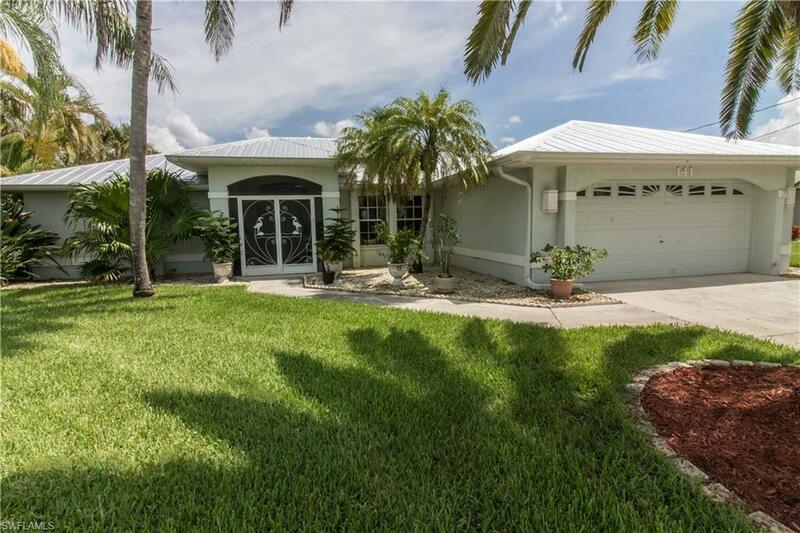 In between both the Cape Coral & Midpoint bridge, this 3 bedroom 2 bath pool home is just what you have been looking for. The large eat in kitchen was just recently updated with white shaker cabinets, a gorgeous quartz counter top, and a tile back splash. 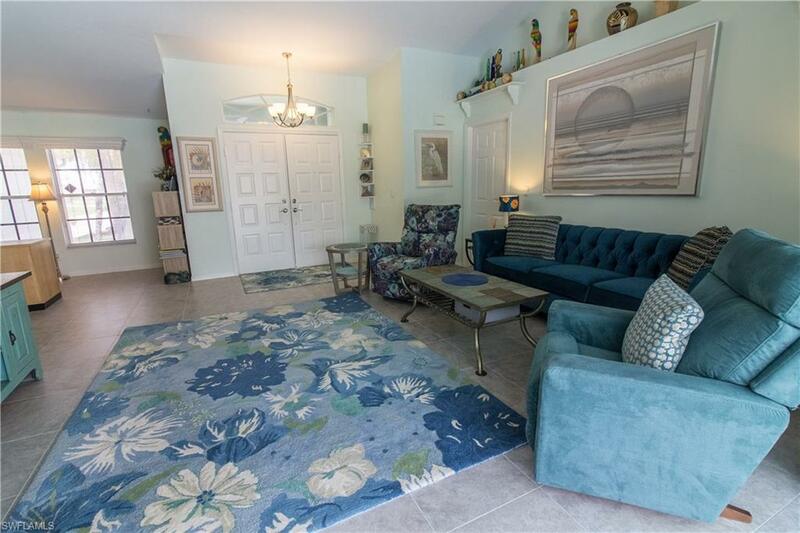 Cathedral ceilings with plant shelves, new tile throughout the whole house, a Walk in closet in master bedroom which has a view out the slider to pool are just some of the features. The guest bedrooms are on other side of home with an additional updated guest bathroom. A metal roof was added just a few years ago and pool was resurfaced. Home was re-plumbed with all new pipes and water heater! Pipes have a 10 year warranty & hot water heater has a 6 year warranty...both transferrable to new buyers. Unlike many gulf access properties, this yard is big! There is plenty of room for your pets, garden, or to add a swing set. 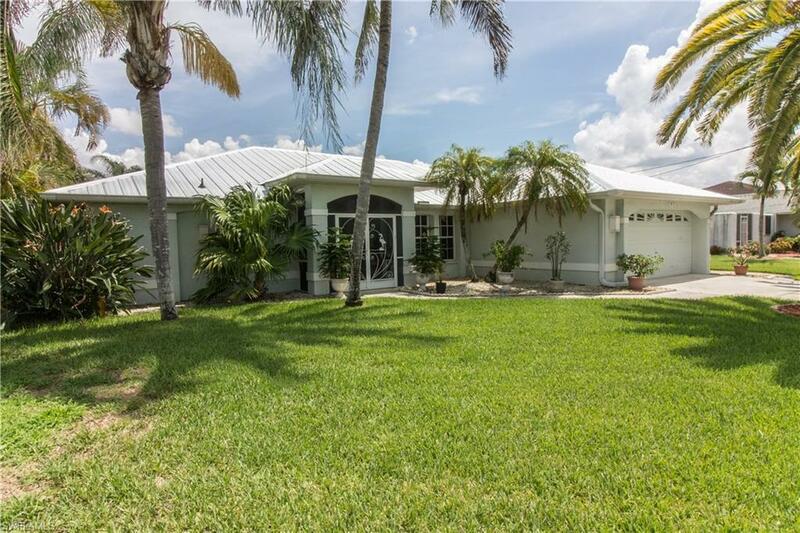 Sellers have kept the home meticulous and well cared for. Must see! !